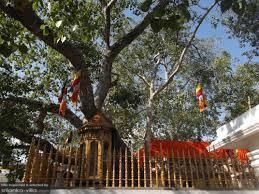 The Jaya Sri Maha Bodhi (Sacred Fig Tree) is a branch of the tree below which Buddha attained enlightenment. As a consequence it is highly worshiped and protected. It is the oldest tree to have been planted by a human in a known date.